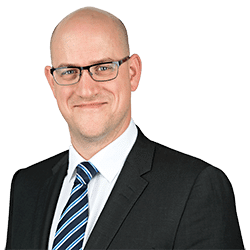 Rob is a partner in the Corporate team specialising in company acquisitions and disposals, debt and equity fundraising, shareholders’ agreement and joint ventures, along with other corporate vehicles such as limited liability and general partnerships. Rob’s expertise includes working at all levels of the business cycle, from corporate formations to insolvency sales. Rob has a particular interest in assisting start-up enterprises through early structuring advice and venture capital investments, and in the use of limited liability partnerships. Rob provides advice to all Clarke Willmott’s industry sectors, with a particular focus on retail and hospitality businesses and sports teams. Rob joined Clarke Willmott in 2010, having completed his training at Reed Smith LLP in London. Advising Altitude Partners on a number of direct investments and management buy-outs, including Moortec Semiconductor and James Tobias. Advising Goonvean Holdings on its serial acquisition strategy, including the acquisitions of Clear Flow, Longcombe Labels, IML Labels, Totnes Foundry and North Devon Electronics. Advising Swiss-based Oerlikon Drive Systems on its strategic investment in Ashwoods Automotive. Advising Turtle Bay Restaurants on an investment by Piper Private Equity, and on its continuing corporate strategy. Advising the shareholders of the operator of 10 Costa Coffee franchises on the sale of the company.